Editor’s Note: The Early Learning Nation Studio recently attended the ReadyNation International Global Business Summit on Early Childhood, where we spoke with early learning researchers, policymakers, and practitioners. The full collection of video conversations can be found here. What’s the business case for increased business investment in local early education programs? Bill Canary, Alabama businessman and chairman of Canary & Co., who has spent years at the intersection of business, public policy and education – including early education – explains. Early Learning Nation: Bill, thank you for your time. Welcome to the Early Learning Nation studio. Bill Canary: Thank you. I really appreciate the opportunity. Early Learning Nation: You have been at the intersection of business, public policy and education, including early education, for much of your career. What grade would you give our nation in terms of early learning? Bill Canary: Well, if we’re grading on the curve, I think we have much improvement. I think that from a business perspective, the concern that many of us have had is to try to change the paradigm for the business world, the business community, to understand the nexus, the paradigm, that needs to shift so that they get more engaged in a process. You can have an educated workforce. Today, in America, every child needs a 13th grade education. You can’t do that by magic. You have to do that through a process. Early Learning Nation: In early childhood education, you’re talking, maybe up to third grade, maybe up to fifth grade, but really much younger, in Pre-K. What’s the business case for that? Bill Canary: I think the business case for that is return on investment. Going back to the 13th grade education, but equally as important is the ability to educate a child at that level will almost guarantee them the ability to read at the third grade level, at third grade. When they get to ninth grade, they’re still participating in a way that makes sense. Our dropout rates go down our … we can’t arrest our way out of a problem. The whole relationship between education and a good equal life are all altogether. It’s just one big process. Early Learning Nation: How do business leaders react when you explain it to them that way? They’ve got to understand the concept of, invest now for payoff later. Invest a dollar now so that you can make $2 to $3 to $10 later. Bill Canary: I’ll tell you, that was one of the greatest challenges and still remains a great challenge, because, historically, the business community doesn’t necessarily see itself engaged in the education side and so, you have to connect the dots. It’s trying to convince people that you have both a moral responsibility and, equally as important, if you want to have an educated workforce, the two have to go hand in hand. Early Learning Nation: Do they see it as a private sector challenge or do they see it as a public sector problem? Bill Canary: Great question. Because really what we’re getting them to see it at is a partnership. Public/private. Geoffrey Canada, in the movie Waiting for Superman, the argument there is that Waiting for Superman, Superman always show up and save the day. Geoffrey’s premise is that Superman’s not coming. We have to do it. It’s our responsibility. And that’s how we have to convert that conversation into the business community’s mind. Early Learning Nation: Are there success stories or examples that you talk about when you talk with business leaders about that public/private investment in those opportunities? Bill Canary: I think the one that you’ll hear from others today in this conversation is that you can … if I told you today that you could project the prison rate by the children who are not reading at grade level in fourth grade, wouldn’t you change the system? And the answer is, of course. I think that that’s one thing that folks begin to understand on the business side. But it also just simply comes back to that 13th education, grade, in terms of that process. If we’re going to compete in this global market that we’re in today, we can’t be behind. America’s always led the way, and we’re not leading the way in this particular arena right now. Early Learning Nation: You are up here in New York, but you live in Alabama. What’s the state of affairs in Alabama? Is their energy behind the early childhood learning movement? Is there momentum there, or what’s going on in Alabama? Bill Canary: Well, I spent nearly 16 years as the head … I just recently commenced from the business council of Alabama, which is the equivalent of a state chamber. Early Learning Nation: Happy graduation. Congratulations. Bill Canary: It’s great to be in the next grade, it really is. I’m originally from New York, so being in Alabama has been a great experience, a great opportunity. One of the areas that we embarked upon was to be the lead agent on the Pre-K movement in our state. To ensure that every child, at four years of age, 69,271 children, would have the opportunity for a benchmarked Pre-K program, that would get them started in a way that would be equal across the board. And we are … it is a 10, 12, 14 year program, each year it ramps up a little bit further and a little bit further and we’ve been benchmarked as one of the best in the nation. That’s something that the business community is now very proud of. What I love about it is, the policy makers, they’ve all embraced it as their program and they deserve it and they should. So now, when the governor gives her state of the state message, talks about Pre-K, talks about early childhood. And when the legislature convenes and moves the budget to fund, it’s not a problem. It’s moving forward. I give the people of Alabama, and the political and the policy side, tremendous amount of credit. But it was helped and fueled by the business community to try to make that case that you asked me about earlier in this conversation. It can be done. Early Learning Nation: That’s good to know and it’s good to have an example like that to look to. Just to close out. You once wrote, were part of writing, a report titled The Rewards of Early Childhood Investment. I love that you called it an investment. In that you wrote, “it is in the best interest of business to invest in quality early education since business is the greatest consumer of our education system, seeking students who can lead productive lives through more secure futures after their initial education ends.” Do the words still stand? Bill Canary: The words still stand. And I would tell you that I think, from a business perspective, that the word investment is both an adjective and a noun, and it gives an opportunity for people to clear … It’s like putting things in terms that everyone understands. And communications is … that’s what the great thing about communications. When we talk about investing that, but we’ve seen already the progress that can be made. No person stands taller than when they bend over to pick up a child. And people get that. It goes to their heart. You can’t move the head until you get the heart going in the right direction. In our state for … I would often say that we, the business community, are the largest consumer of a product called education and we can make it better. That’s the mantra that we did and it’s a fight worth fighting for because the end result is success. And the end result is the great equalizer. Education creates equality, opportunity for every child, and that’s what we’re striving for. Early Learning Nation: That’s what we’re of striving for. Well, it sounds like a terrific fight and it sounds like Alabama is moving the hearts and the minds. Bill Canary: Yes. We’re not just all about football. Early Learning Nation: Do they play football down there? Bill Canary: Every other weekend. Early Learning Nation: I’ve heard stories. Bill Canary: But, you’re right. But it is the hearts and mind and I’m proud of the state of Alabama and I’m proud of the policy leaders and I’m very, very proud of the business community because they have stood up to do the right thing. And we’re making progress, it’s slow, it’s one child at a time, but you can change the world that way. 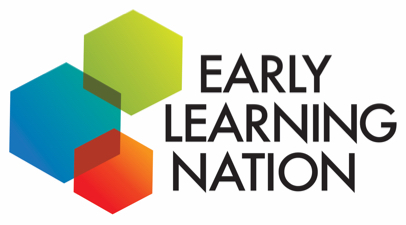 Early Learning Nation: Bill, thank you for stopping by the Early Learning Nation studio. Bill Canary: Real pleasure. Thank you.